From 1990 to 2001, Jerry played pro basketball in Israel. In 1993, his Hapoel Galil Elyon team won the Israel championship, a title previously held by Maccabi Tel Aviv for 30 consecutive years. That same season, he played on the Israeli National Team in the World University Games. * 1986 High School All-State and 3-A City Player of the Year. 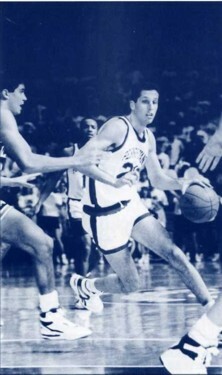 * All-Ivy League honorable mention in 1989, and All-Ivy and All-Big Five in 1990, when he captained the Penn hoopsters. * Member of the 1989 USA silver medal Maccabiah basketball team. * Recipient of Israel’s “Sixth Man Award” in 1993. * 1995 Northern Israel Player of the Year.